Arco-Íris (Leiria, Portugal) on 27 January 2019 in Art & Design and Portfolio. Beautiful old and new together and reflections in the puddles. Um excelente postal, muito bem retratado! Nice and quiet famous square. Excellent framing for this quieter than usual view. 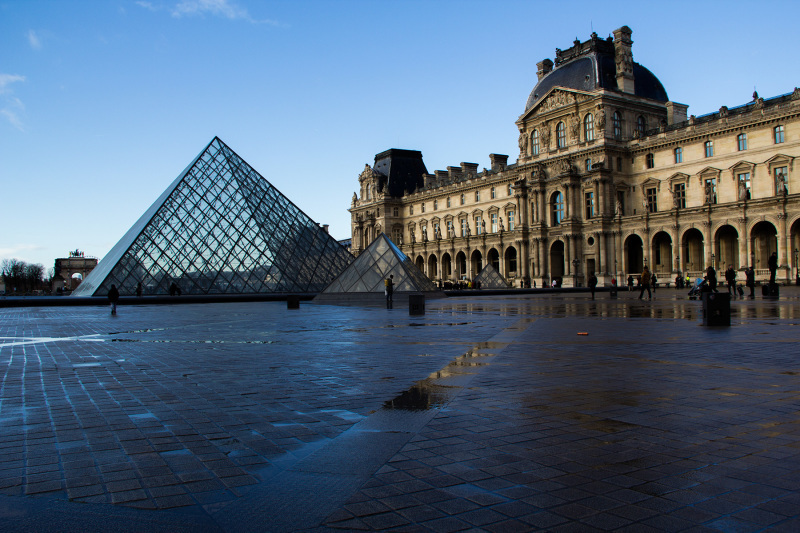 A wonderful view of the Louvre. The light is magnificent. Lovely photo. Last time I was there they were digging this area up and found artifacts that stopped the construction. I would love to see Pei's glass pyramids, Thanks for sharing. A beautiful classic view ! E o facto de ter chovido, até ajudou a dar aquele toque especial e diferente das outras que existem por esta Internet a fora.